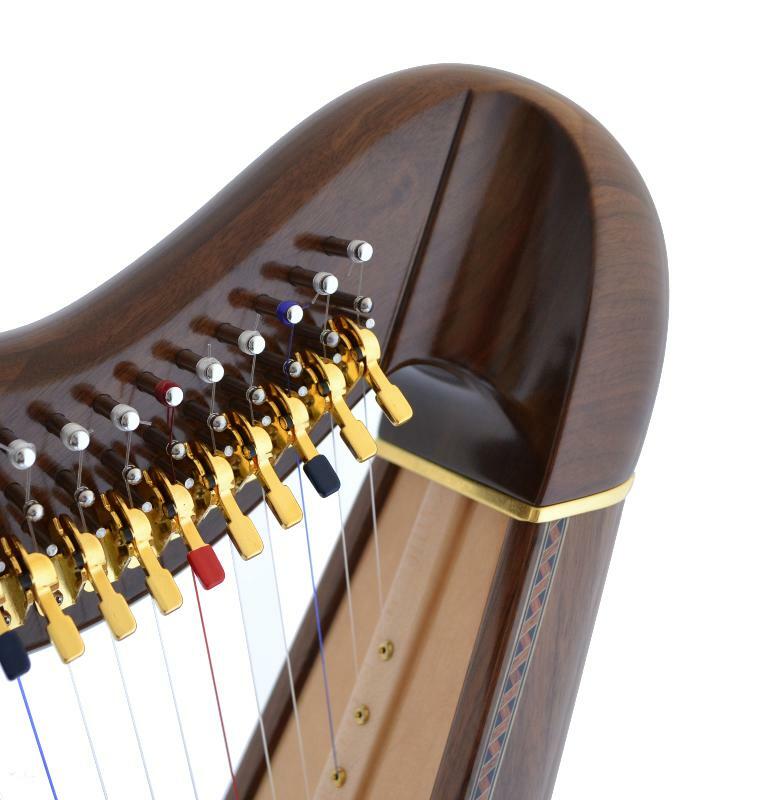 Aoyama's most popular lever harp combines a brilliant tone with graceful contours. 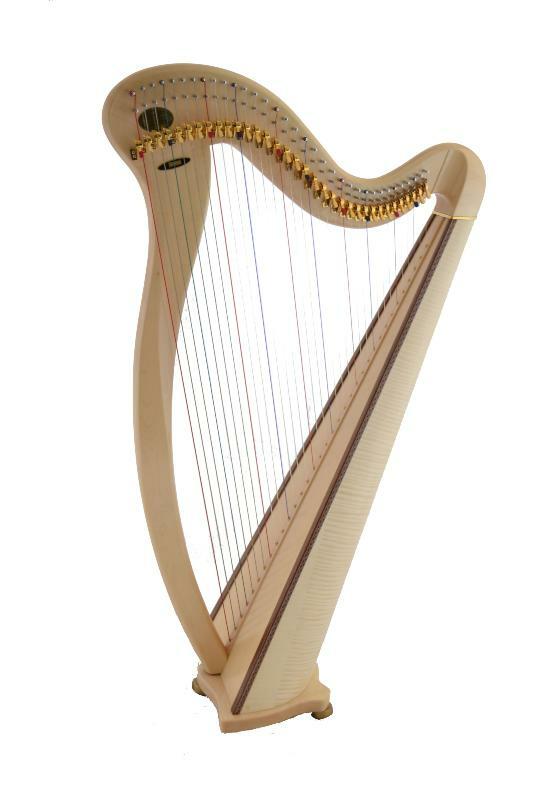 The Kerry is one of our most popular harps for beginners and folk harp enthusiasts. 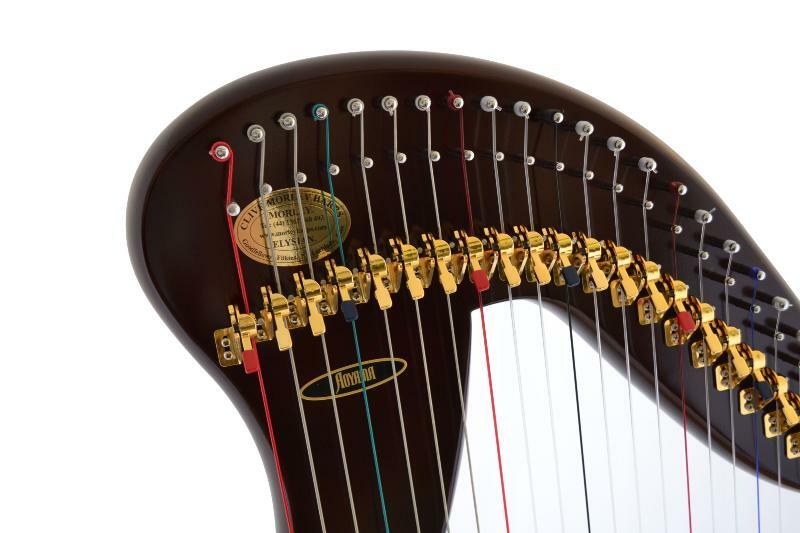 It is liked and recommended by harp teachers and is very popular in schools due to its concert harp spacing, mid string tension, sturdy build and attractive sound. 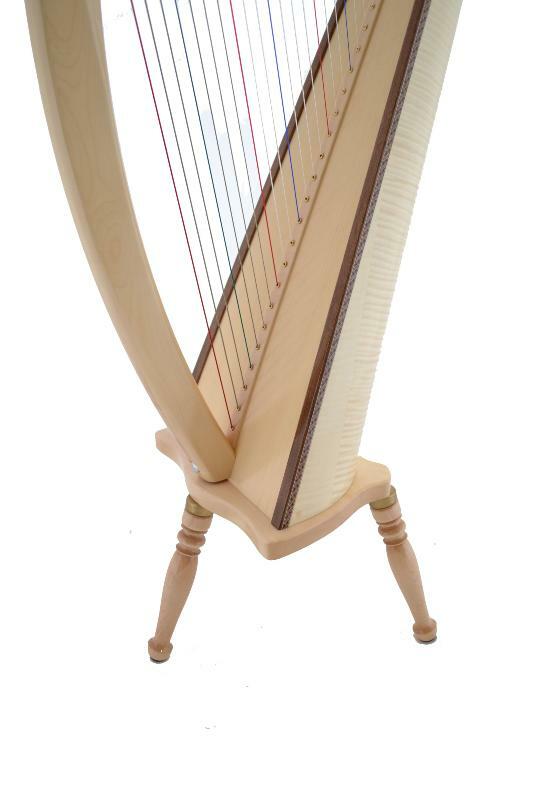 Three detachable legs allow the harp to be played at two different heights and are easily removed for convenient transportation. 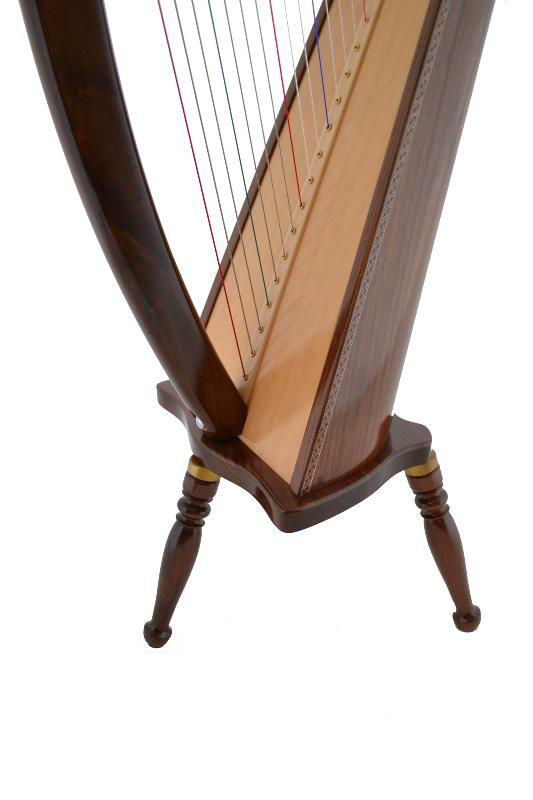 The grain of the wood is visible on the two natural finishes. 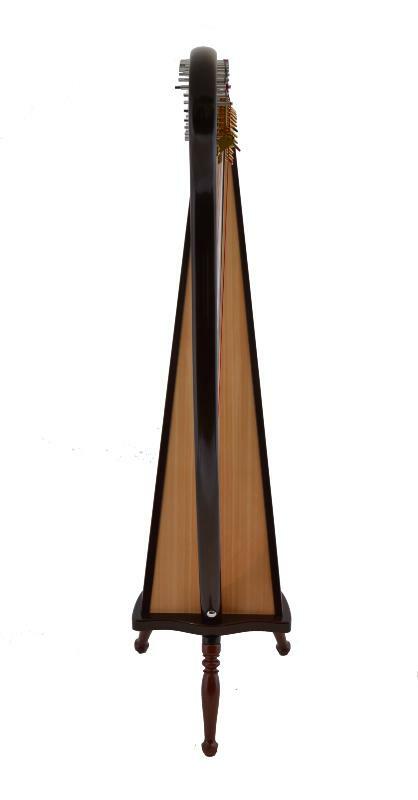 A lovingly hand painted and gilded flower design on the base and pillar makes the Kerry Walnut 34 and Kerry 34 Maple look even more striking. 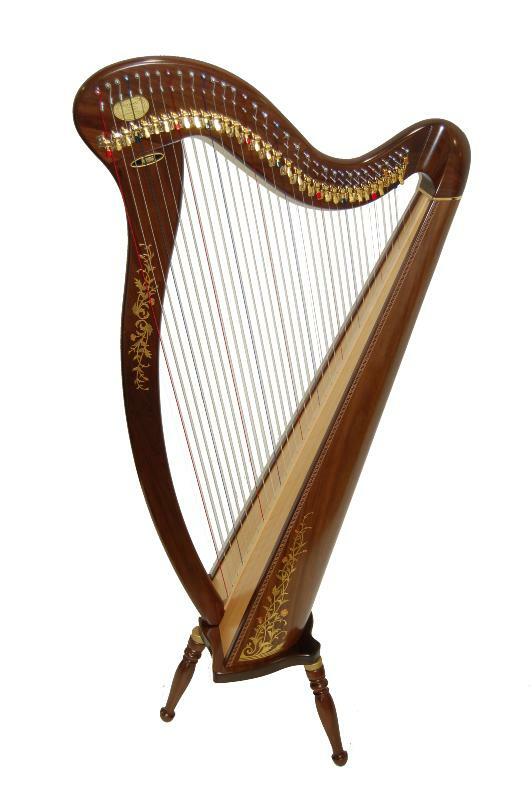 Green, quilted cover with front zip and hand holds for easy carrying. 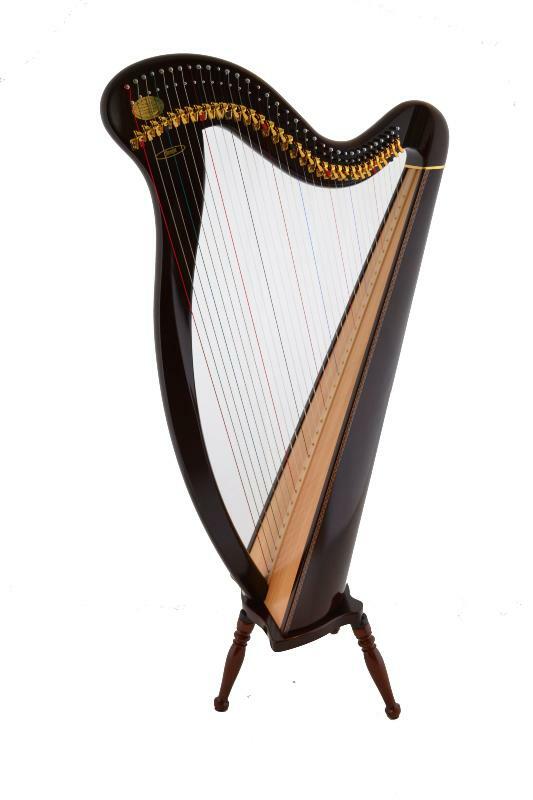 Black, heavy duty carry bag with pocket for music and strings.